Are you looking to spruce up your property for the holidays? Late fall and winter mark a joyous time filled with holidays and holiday visitors. 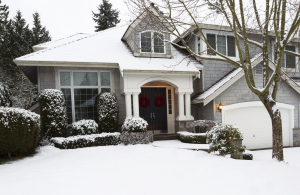 Naturally we want our homes looking beautiful for our guests but with the busy nature of the season and winter cold fronts creeping in most homeowners just don’t have the time or energy to spruce up their property for the holidays. That’s where we come in. Our holiday spruce up package allows you to focus on the important events this season brings instead of worrying about the appearance of your landscape. Reducing risk of injury from leaf raking. Increased aesthetic appeal of your property for the holidays. Decreased risk for infestation and diseased trees by removing the leaves from the base of trees. Prevent soil compaction by removing leaves from the property. Rejuvenate shrubs to allow for vigorous growth and flowering. Protecting roots from the winter cold by freshening up/applying mulch. Keep your landscape looking top notch during the holiday season and get a free consultation for the Holiday Spruce Up Package today.